The world is flooded with weird stories but this one will definitely give you goose bumps, I bet. 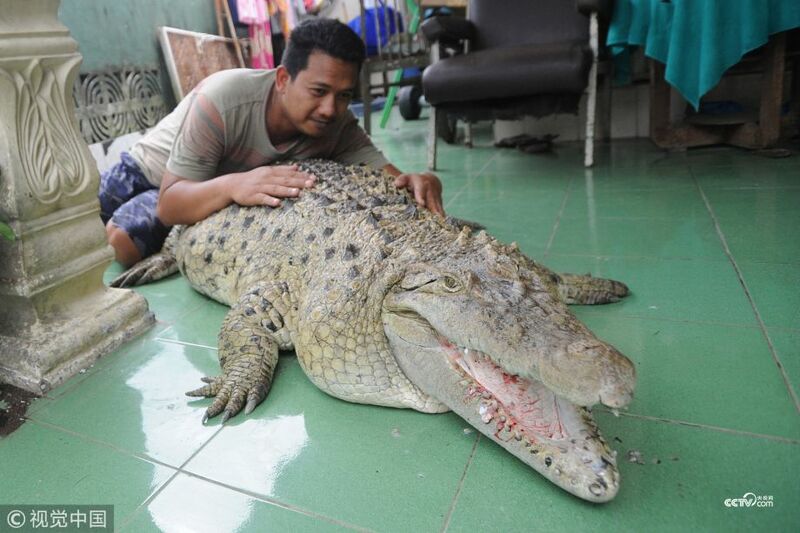 Meet Mohammad Iwan and his family who have been living with a 6–foot long croc from 20 years now. The pictures are viral since it hit online media and has been trending among hot viral stories worldwide. 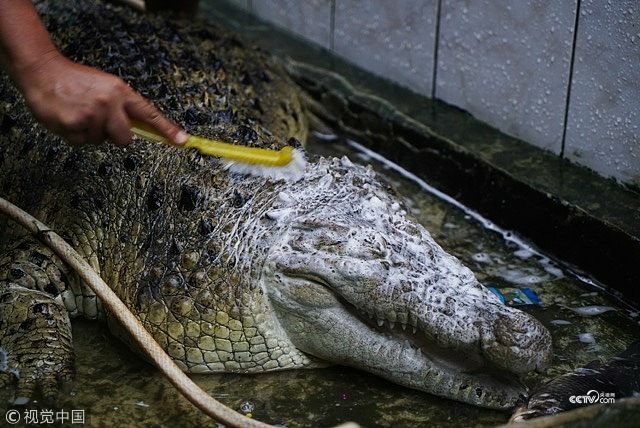 Iwan with his wife and three children has been living with this 200 kg & 6-foot long crocodile in Indonesia from almost 20 years. 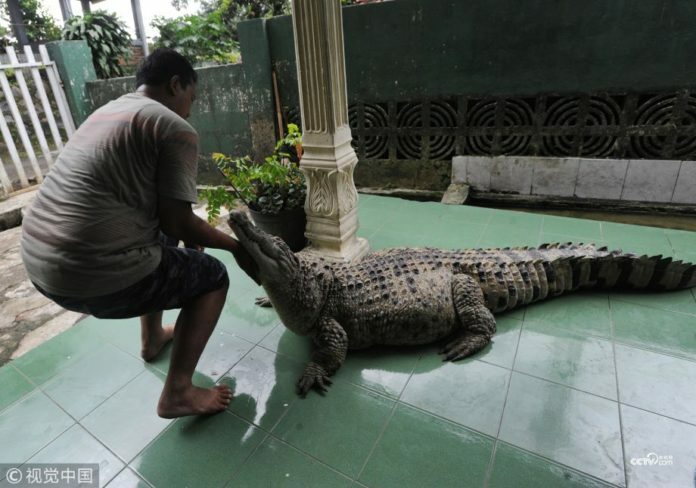 During an interview he said, he first adopted this reptile in 1997 and since than he feeds him with 6 kgs of fresh fish daily. A formal conversation with them will give you no hint of their pet being a dangerous creature. 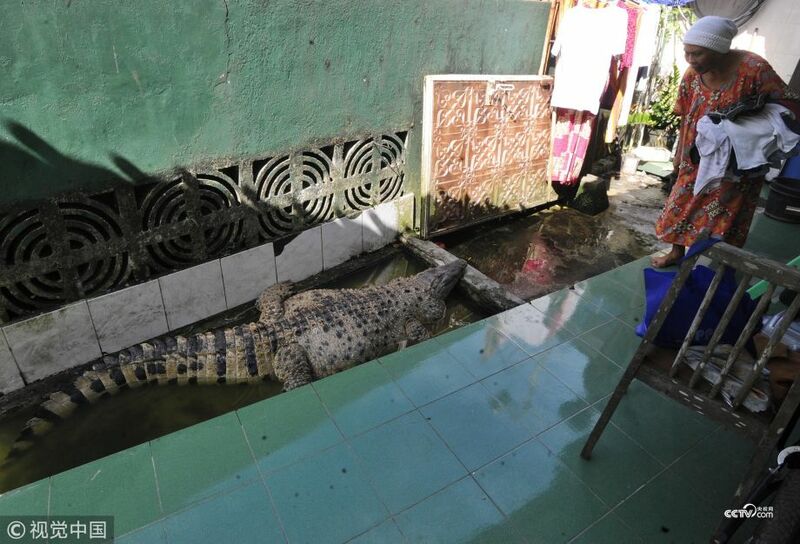 The family has reported no accidents till date and love to be with their crocodile named- Kojek. They state that getting fresh fishes, regular bathing and cleaning teeth of Kojek has now seems to be their daily corse that they enjoy doing. Its overwhelming how a wild creature can also be loving and domesticated with love and care. We have witnessed many viral stories breaking internet through memes and trolls but this is defiantly not among those. It’s trending for the good reasons, so thought of putting it in our feeds to give us some humanitarian lessons in the world where people are fighting to ashes and smashing animals brutally for selfish reasons. 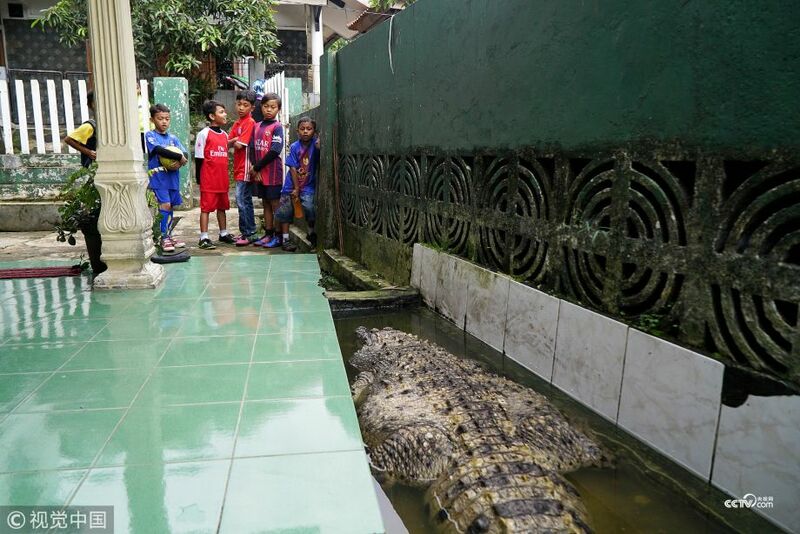 Here’s some of this scaly, huge creature with the Irwan family.